Michelle Obama is hands down my favourite Capricorn in the world. Yes, Michelle has class, authority and that classic Capricorn style, however there’s so much more to her personal astrology. 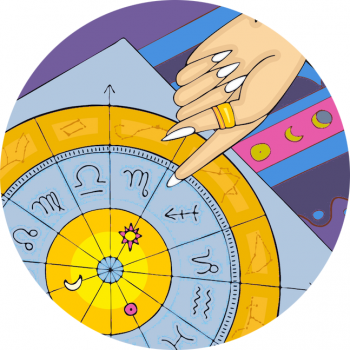 Did you know that 0º, 1º and 29º of each zodiac sign are the ‘power degrees’? It’s true, the entry and exit points have a potentcy as the freshest flavour of the astrological sign. When we look at Michelle we really see a wonderful example of Pisces energy – charitable and compassionate, empathetic and forgiving. Pisces is the true Cinderella of the zodiac, as the great sacrificial sign who offers themselves over. And Michelle does this again and again with her kindness of spirit. With the moon and Venus together in the chart there’s a beautiful–mother vibe to Michelle, and what’s more she also possesses the north node of destiny in the nurturing sign Cancer ‘the mother’. Venus in Pisces can carry magical touches, fabrics that remind you of a mermaid, with subtle, silvery, enigmatic flair. Capricorn are the responsible, mature elders of the zodiac. Ruled by stoic Saturn, this sign has a natural affinity for structure and climbing a professional or corporate ladder, or following a reasonable path to progress – long term goals light them up!